Wismut Labs partners with established industry players to provide our clients robust solutions that fit their unique requirements and needs. NVIDIA is a computer technology company that has pioneered GPU-accelerated computing. It targets the world's most demanding users -- gamers, designers and scientists -- with products, services and software that power amazing experiences in virtual reality, artificial intelligence, professional visualization and autonomous cars.  The NVIDIA Inception Program nurtures dedicated and exceptional startups who are revolutionizing industries with advances in AI and data science. This virtual accelerator program helps startups during critical stages of product development, prototyping, and deployment by providing unique tools, resources and opportunities to the waves of entrepreneurs starting new companies, so they can develop products and services with a first-mover advantage.